The recent article on The Grocer magazine about vending machines (27th October 2018) reported that the UK lacks behind Europe, Asia and the US when it comes to the market in general. Apparently the UK market, covering everything from cans of soda to fresh and cooked foods, grew more than 10% from 2014 to 2017 and is worth just under £450m according to Euromonitor. 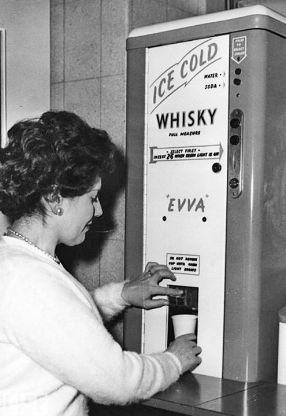 But what about Alcohol Vending Machines? The vending machine concept comes from the 19th century and technology is the main enabler to allow these devices to offer products which are more attractive to the general population. Buying from one of these devices tend to be driven by convenience. 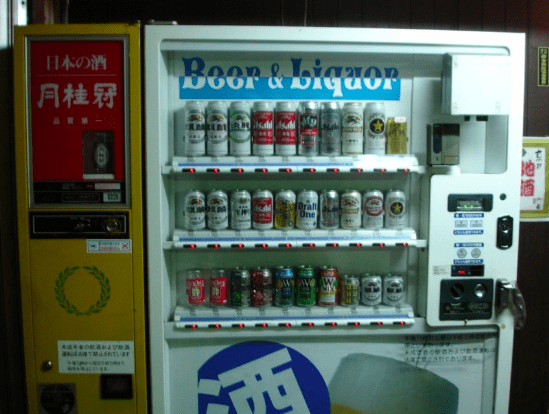 Japan is one of the countries that seems to lead when it comes to the sheer variety of products available on sale via vending machines, including beer, sake, whisky and liquor in general (such as those pictured above and below) – I can only assume there is some way to control access. Apparently their newer machines demand you to present an ID card to make sure you are old enough, turn off after 11pm and some even have age recognition cameras and software! 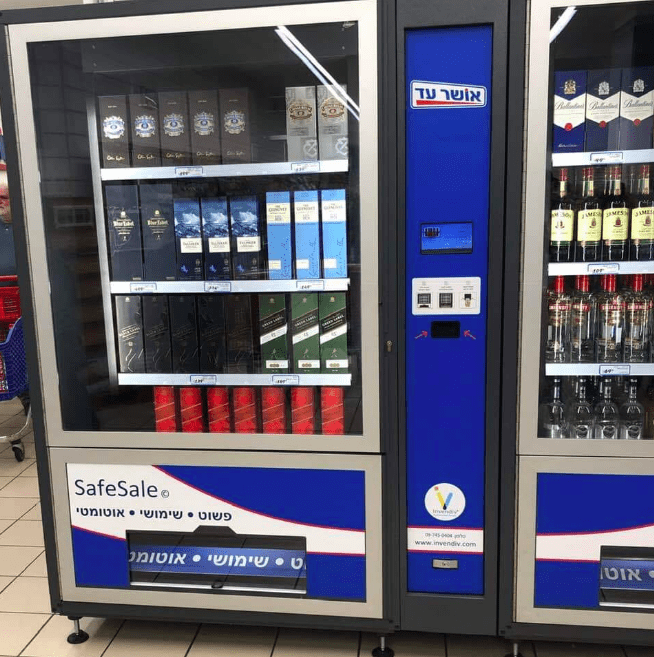 This vending machine below is apparently available in Israel. 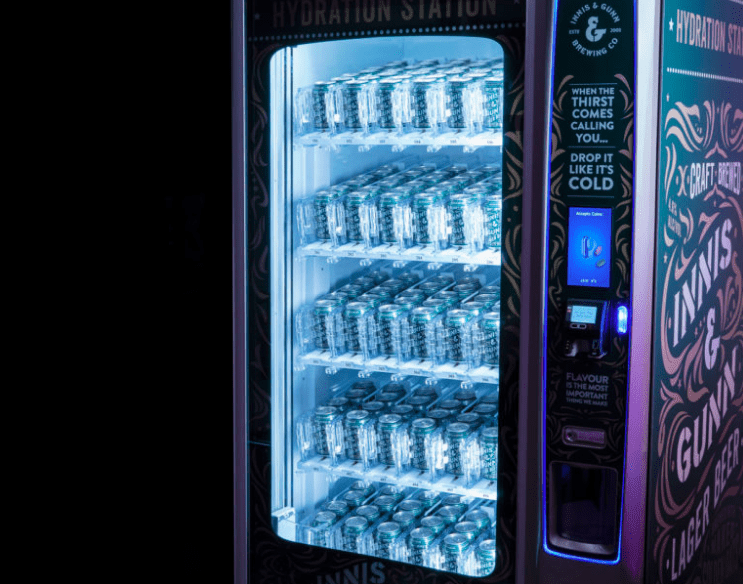 This vending machine, from Scottish brewer Innis & Gunn was offered as a competition prize to consumers during the holiday season, filled with 150 chilled cans of lager. 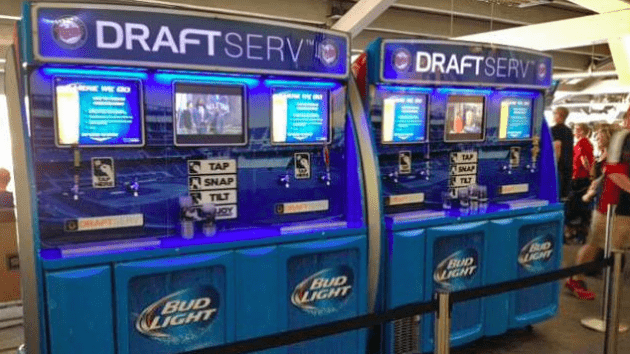 The US have also introduced some Beer Vending Machines at some Baseball Stadiums with a service called DraftServ (pictured below). Consumers need to register and show an ID in order to purchase using a pre-paid debit card and there is staff to control access also, so this mainly acts as a way to reduce queues and serve more people at the same time. 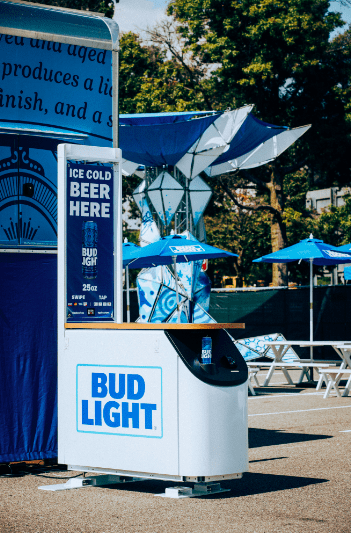 BeerBox is another type of beer vending machine targeting high volume events such as music festivals, concerts and sporting events (pictured below). Apparently vending machines can also act as a way to by-pass local regulation loopholes. 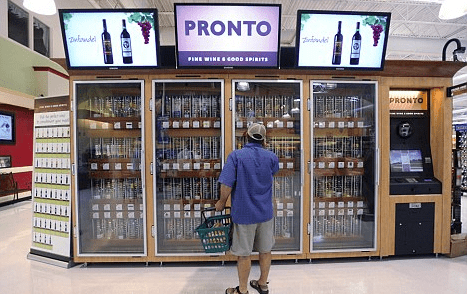 One such example seems to be the Pronto Wine vending machines in the US (pictured below). It is illegal to sell wine at grocery stores in the state of Pennsylvania, but not it seems at vending machines. 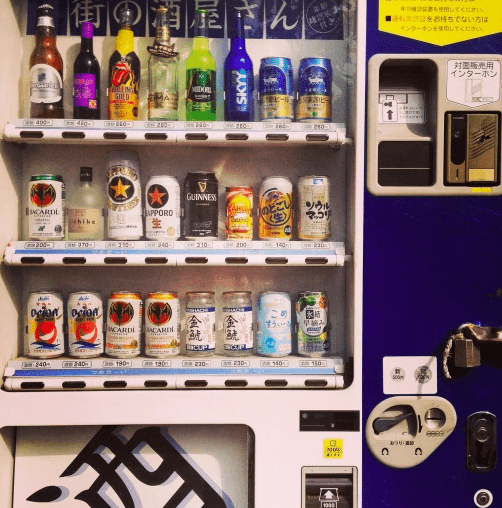 The vending machine will not just hand over a bottle of wine to anybody and consumers have to submit to a breathalyser, scan their driver’s license, and have their face confirmed by a state official on the CCTV. 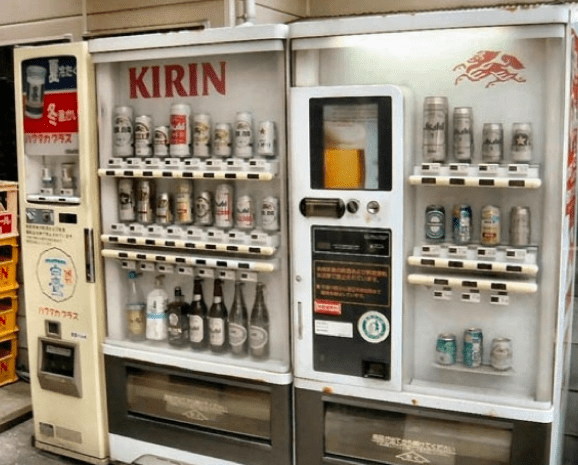 Some vending machines are not machines at all! 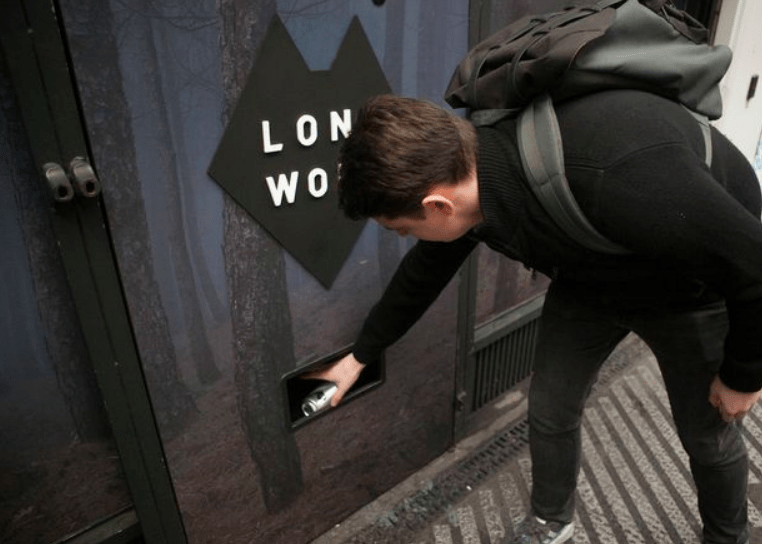 LoneWolf gin (part of BrewDog), run an activity with a promotional pop-up in the UK selling gin & tonic pre-mixed cans. The pop-up used a person hidden behind the vending machine to drop the cans rather than sophisticated technology. 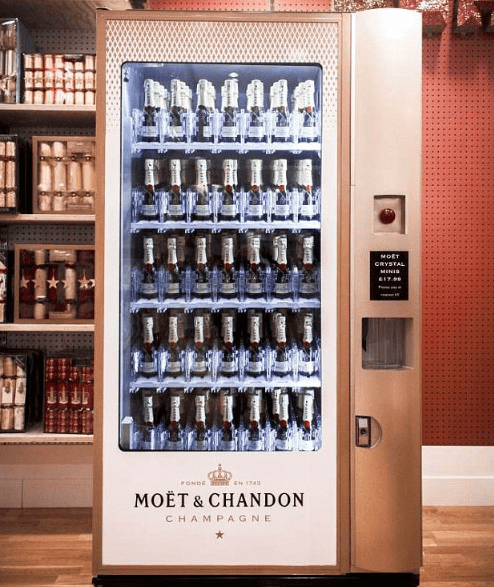 Premium brands are also experimenting with the vending machine concept, such as Moët & Chandon champagne who installed the first of its kind champagne dispenser back in 2013 at Selfridges, selling 200ml bottles (pictured below). To be fair, the payment had to be made in advance at the counter so this limited access but also restricts how widespread this could be used outside of a store environment. 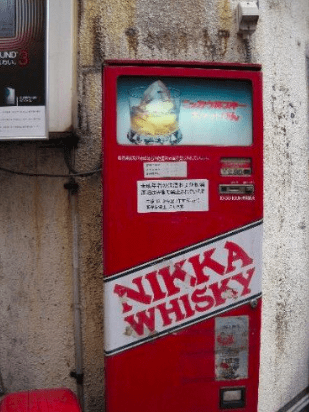 The latest development in Alcohol Vending Machines comes from Thomas Aske and Tristan Stephenson, who launched Whisky-Me in November last year. 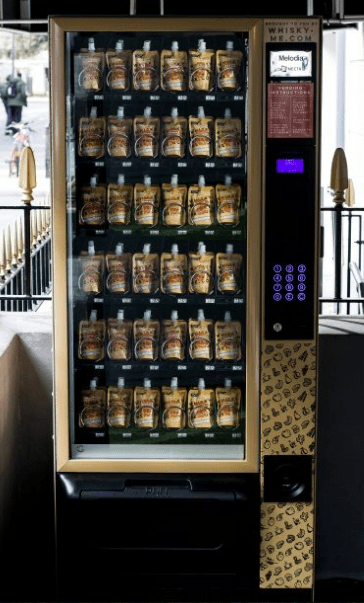 They are installing a whisky vending machine in front of The Napoleon Hotel, where their Shoreditch whisky bar Black Rock is based. 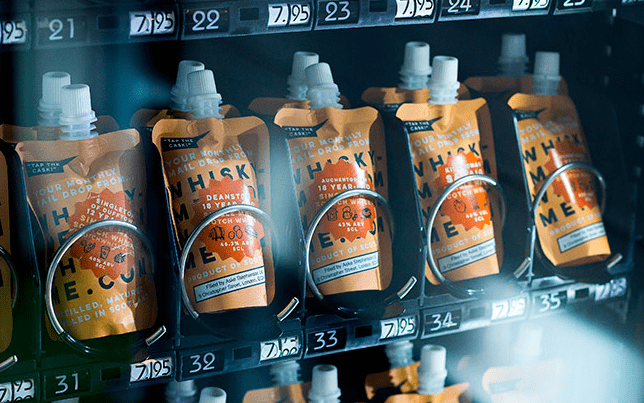 Throughout November and December, whisky enthusiasts will be able to purchase tokens from upstairs bar Devil’s Darling to access the Whisky-Me pouches inside the machine (pictured below). Finally and for reference purposes, the famous photograph below originated at a 1960 trade show for vending machine manufacturers.